Keeping up with Aston Martin’s developments is getting harder than keeping up with the Kardashians, but is certainly more worthwhile. At the Geneva Motor Show in early March, the storied British marque unveiled its next hypercar, the AM-RB 003. It also unveiled the Vanquish Vision, a concept for a not-as-hyper mid-engine supercar aimed at the Ferrari F8 Tributo and McLaren 720S. Meanwhile, Aston Martin showed the Valkyrie at Geneva, released details on the powertrain and said the first prototypes of the mid-engine hypercar are just taking shape. And you thought it was hard to telling Khloe from Kim or Kourtney? Here’s a recap of Keeping up with the Aston Martin Middies (KUWTAMM for short). The Aston Martin AM-RB 003 might have the double naught identifier as a “license to kill,” but it seems more like a car for Batman than Bond. First, some numbers: it’s probably too late to order one of the 150 Valkyries to be built at $3.2m each, but you might have a shot at one of the 500 AM-RB 003s planned, which will go for $1.3m. You just saved $2.1m! 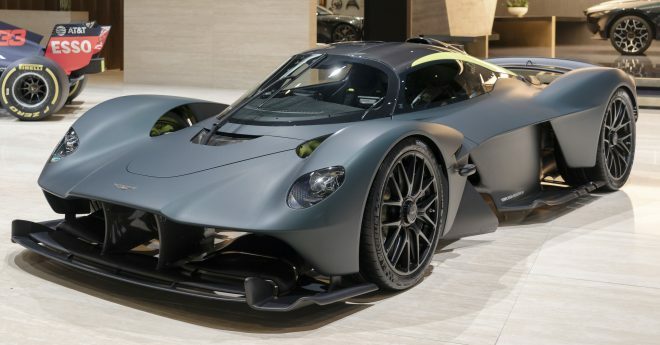 The “003,” in Aston Martin parlance means it’s the third mid-engine hypercar after the Valkyrie (001) and Valkyrie AMR Pro track car (002). Although a “direct descendant” of the Valkyrie according to Aston Martin, the AM-RB 003 is “very much its own car.” It will acquire a proper name by the time it arrives in 2021. The AM-RB 003 will have an all-new Aston Martin turbocharged V6 in a hybrid powertrain. Aston Martin has not revealed any output estimates, but Car & Driver speculates it will be around 800 horsepower. The AM-RB 003 is designed to be easier and more comfortable than the Valkyrie, but it won’t be a luxury GT. It will also the first road car with the Nexcel sealed oil system, which facilitates 90-second oil changes and the refinement and reuse of the oil. Don’t expect a $19.95 oil change bill for those 90 seconds, though. Does not mean it’s a flying car. The FlexFoil™ technology, validated by NASA, basically means flexible wing elements that change angle in reaction to aerodynamic forces acting on them. Aston Martin, meanwhile, is also working on a flying machine. The AM-RB 003’s cockpit looks like something from a future personal aircraft. 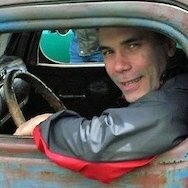 Is a steering wheel still a “wheel” if it’s rectangular? And, didn’t your grandfather’s 1960 Chrysler Imperial have one of those? 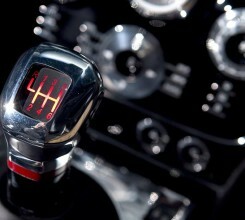 Yes, and it also had pushbutton controls for the transmission. We’ll have to make a closer comparison between these two cars at some point. Grandpa’s Imperial had a snazzy dash, too, but nothing like the AM-RB 003’s dual display screens. One perches on the steering column, and another, much smaller screen is integrated right into the steering “wheel.” Some of the interior parts have been 3D printed, but Aston Martin hasn’t said if owners will be able to download replacements and print them at home should the need arise. 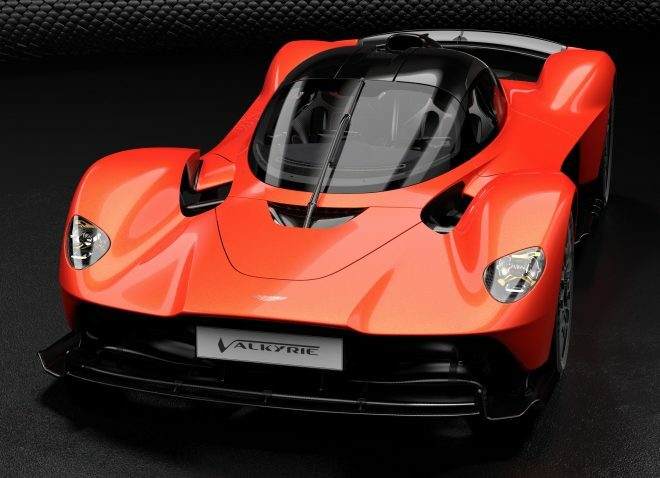 As the Valkyrie gets closer to production, Aston Martin has revealed its performance potential. The powertrain combines a naturally aspirated 6.5-liter V12 engine with a hybrid system. The V12, developed by Cosworth, produces 1,000 horsepower at a stratospheric 10,500 rpm. If the torque peak of 545 lb-ft. seems a little light these days, fear not; the KERS-type electric boost system, akin to those on F1 racers, will kick in an additional 160 hp and 207 lb-ft.
Aston Martin expects the V12 to go 100,000 km (62,500 miles) with just “routine maintenance.” Will you be the first to drive that far in one? Compared to the two hypercars, the Vanquish Vision, slated for production in 2022, seems almost conventional. Power will come from the new turbo V6 with a hybrid system. The vehicle structure will be aluminum rather than carbon fiber. There are no photos or renderings of the interior, so we don’t know the steering wheel’s shape. Stay tuned for future episodes of KUWTAMM to find out.